0n December 5 & 6, 2015, The Firehouse Gallery in downtown Phoenix will present the new height challenged musical comedy “Swimming in the Head,” with a book and a musical score by Serene Dominic and direction by Sheri Amour and Ting Ting, the same team that brought Phoenix audiences “Rocky Horror at the Firehouse” this past spring. The cast album will feature vocal contributions from Joe Sawinski, Sara Griffin, Margo Brookover, Joobs and Serene Dominic, who will act in the show as well serve as musical director. Marcella Grassa and Jill Louise are the two narrators of the show so having two women retelling the story gives it a radically different spin, so to speak. 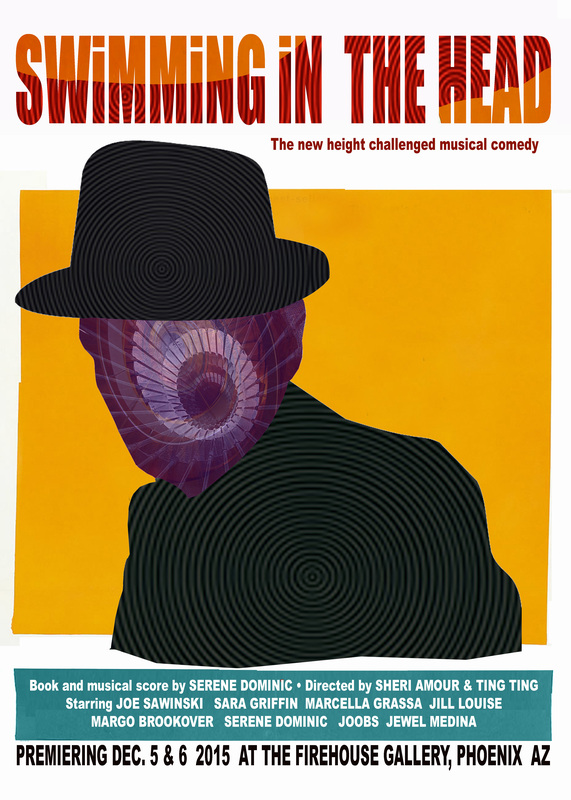 The ‘Swimming in the Head’ Deluxe Edition Album is available for digital download from Onus Records and contains the entire Serene Dominic “Unnatural Blonde” album from which the show was based plus six new cast recordings. Onus has also made several tracks from the show available for free download through its popular Single of the Weekend series. 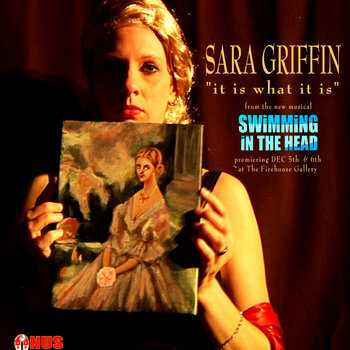 This week the song on release will be “It Is What It Is” which is performed by the show’s female lead, Sara Griffin. Physical CDs will be available at the show’s Merch Boothand from the Onus Bandcamp website. NextSerene Dominic new album: follow its progress here!